How To Buy Historic Homes in Downtown Historic Central Phoenix. Buying Homes For Sale in Phoenix, AZ. 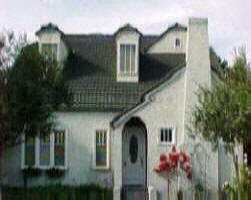 Buying Phoenix Historical Homes For Sale with Free MLS Searches. Buying Luxury Phoenix Condos. Buying Phoenix Lofts. Buying High-Rises In Downtown Phoenix. Buying a Home on Central Avenue. 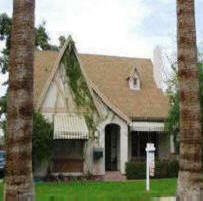 Buying any Phoenix Historic District Home For Sale. Central Phoenix Home Buying. 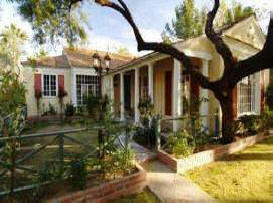 Search Historic Districts on AZ MLS to Buy a Historic Phoenix Vintage Home For Sale. Also read: "What You Can Expect From Laura B." 1. What is a Historic Home? A historic home has some significant historic relevance as reflected in its architecture. The National Registry of Historic Homes has an extensive list of homes that are “historic,” but each state, town, or city has designated their own historic districts and landmarks. Phoenix, AZ has 36 historic districts alone, and more coming! 3. Where to Buy? There are historic homes in just about every city in Phoenix. This website provides you with links to Historic Phoenix homes, Historic Glendale homes, and Historic Tempe homes. Click on the city of your choice for more information on each historic district and to search homes in that particular district. A few of the more popular Phoenix historic home districts are Willo, Roosevelt, Coronado and Encanto-Palmcroft. 4. Do research on the home. Once you are comfortable with any laws and regulations regarding purchasing a historic home, you should decide on a house. Do research on your home. I will help you. See my “resources” link to many historic homes resources available. 5. Making an Offer. The offer should be contingent on your ability to obtain financing, and most importantly, contingent on a satisfactory inspection. These homes are very old, so the inspection is an important element of the buying process. You may find that your offer price goes down significantly after discovering defects in the building. a. The Roof. The roof is a huge inspection item. A failing roof will cause leaks and will incur much money for repairs in the future. Find out what the condition the roof is in and factor its possible decay/problems into your decision. b. The Heating/Cooling System. The heating & cooling system in the building will likely be old if the previous owner has not installed a new one. Just because a system is old, however, does not mean it is bad. Have your inspector evaluate the method of heating & cooling, and suggest ways to maintain/improve on it. c. The Structure. Have an inspector, or better yet, an engineer, evaluate the structure of the building. If there is a big problem with the foundation or the building itself, you will want to know. Structural problems can cost a significant amount of money to repair. d. The Electrical. Have a licensed electrician evaluate all the electrical inside and outside the home. Is the wiring is up to code? Is the panel original or has it been upgraded? Are the outlets grounded with GFI plugs? Such concerns don't necessarily mean you must give up your dream of buying a piece of the past. From your Real Estate Agent to your Home Inspector, you do need to bring in the knowledge of professionals into your purchase in order to detect any possible hazards or costly repairs that may be looming that are often common in older homes. 7. Finalize Offer/Purchase and Sales. Take the information you received from your inspector and decide if you need to adjust your offer based on costs of repairs from items missed at your initial introduction to the property. Once you agree on the price and specifications of the deal, have your Real Estate Agent draft the Purchase and Sales Agreement. As your Real Estate Agent, I guarantee that I will not leave ONE stone unturned and will be guiding & helping you through the entire process. My team and I are dedicated to a smooth, timely transaction helping you close escrow on the home of your dreams! Contact me now so I can SHOW you what I mean!